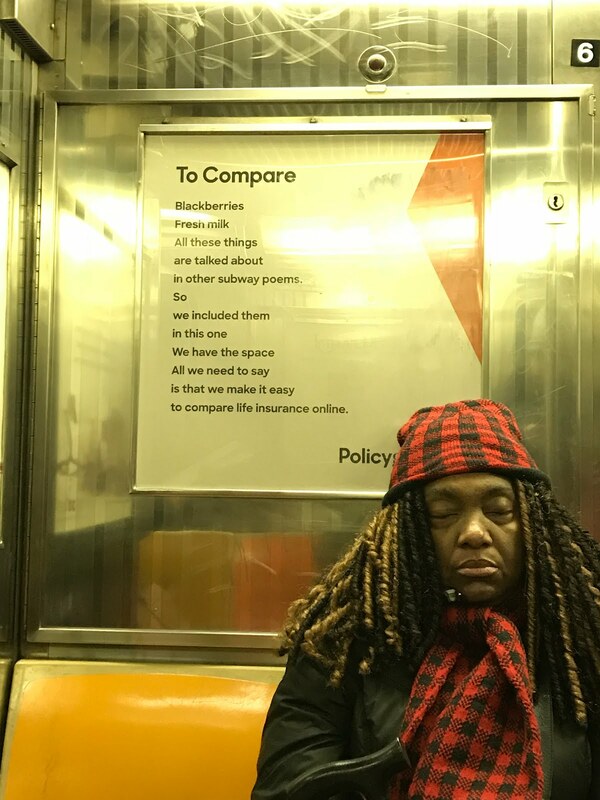 If you ride the subway, you know about Poetry In Motion - a public service project of the MTA wherein poetry replaces advertisements. This morning, I was amused to find an advertisement masquerading as poetry, indeed referring to those "other subway poems. I particularly like the fact that the sleeping man is obscuring the logo of the advertiser.